THURSDAY, Feb. 9, 2017 (HealthDay News) -- The trauma of receiving a false-positive result from a mammogram may lead many women to delay or skip their next screening, a new study finds. A false-positive result means that an aberration on a mammogram looks like it might be cancer. But after tests -- such as added imaging or biopsy -- it turns out to be benign. In the meantime, however, the patient may go through distress and various procedures, and decide to delay or skip her next mammogram. That's a potentially fatal mistake, breast cancer experts said, because detecting tumors early can save lives. "Unfortunately, for women over age 50, just skipping a mammogram every other year would miss up to 30 percent of cancers," said Dr. Stefanie Zalasin, a breast imaging specialist who reviewed the new findings. "Reassuring a patient that the overwhelming majority of mammograms and even biopsies are normal can allay much of a woman's anticipatory anxiety" around mammograms, said Zalasin, who practices at Northern Westchester Hospital in Mount Kisco, N.Y. The new study was led by Firas Dabbous, manager of patient-centered outcomes research at Advocate Lutheran General Hospital in Park Ridge, Ill.
His team examined data on more than 741,000 screening mammograms conducted on nearly 262,000 women in the Chicago area. The study found that slightly more than 12 percent of the mammograms ended up yielding a false-positive result. But while 22 percent of women who had received a negative result on their mammogram had at least one subsequent mammogram in the database, that number dropped to about 15 percent for women who'd received a false-positive result. And among women with more than one mammogram in the database, those with a negative result from the first mammogram were up to 36 percent more likely to undergo another screening within the next three years, compared to those who had a false-positive result on their first mammogram, the researchers said. Also, the average delay in having a second mammogram screening was 13 months for those who had a false-positive result on their first mammogram, Dabbous' group noted. Delays and skipped mammograms could have a real impact on a woman's health, the study authors added. They found that the risk of being diagnosed with late-stage breast cancer over the next four years was 0.4 percent among those who had a false-positive result and 0.3 percent for those who had a true negative result. That difference is statistically significant, the researchers said. The study was published Feb. 9 in the journal Cancer Epidemiology, Biomarkers & Prevention. The findings suggest "that we need to more actively encourage women who have a false-positive result from a screening mammogram to adhere to routine screening mammography recommendations, because it has been shown to reduce breast cancer mortality," Dabbous said in a journal news release. Zalasin agreed. She said that prior research has shown that "women who have had a false-positive mammogram are actually at greater risk for subsequently developing breast cancer. 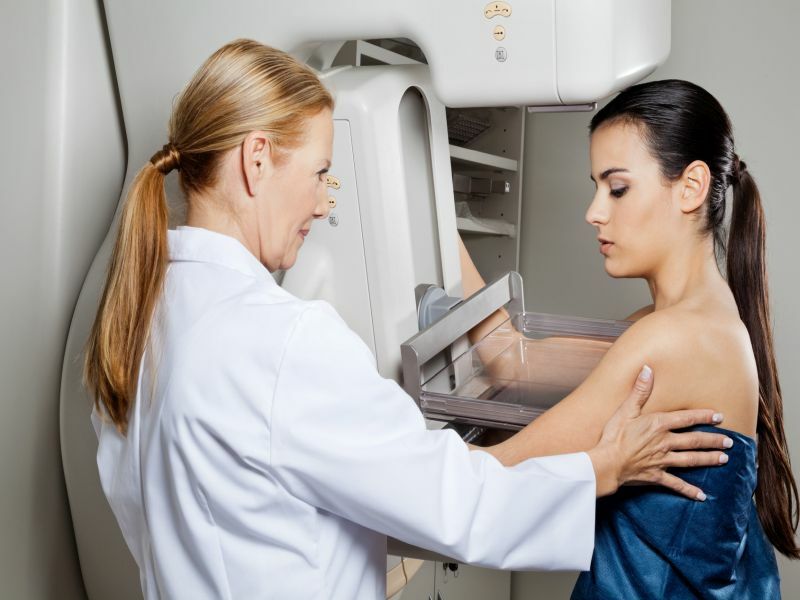 This is why it is extremely important that women continue annual screening mammography, even if they have had the experience of having a false-positive mammogram in the past." Dr. Kavita Patel specializes in breast imaging and directs the Imaging Center at Lenox Hill Hospital in New York City. She stressed that the vast majority of mammogram findings that require a callback turn out to be benign. According to prior research, Patel said that out of every 1,000 women who undergo mammography, about 100 will be called back for additional imaging due to something seen on the scan. About 61 of those 100 women "will have the additional imaging and find that nothing is wrong," Patel said. Nineteen of the women will undergo a biopsy and only five will be diagnosed with breast cancer, she said. And, "when breast cancer is found this way, the cure rate is very high," Patel added.